After the Pulwama attack, a fresh proposal to designate -- Azhar under the 1267 Al Qaeda Sanctions Committee of the UN Security Council was moved by France, the UK and the US. However, China blocked the bid by putting a "technical hold" on the proposal. Following this, the US backed by the UK and France moved directly to UN Security Council (UNSC) to blacklist Azhar. China, a veto wielding member of the UNSC, had opposed the move, saying the issue should be resolved at the 1267 Committee itself which also functioned under the top UN body. Reacting to reports that the three countries have fixed April 23 as deadline for China to lift its technical hold in the 1267 Committee or else they would press for a discussion on the issue at the UNSC itself, Foreign Ministry spokesman Lu Kang said, “I don't know where you get such information." He said both the UNSC and its subsidiary body 1267 Committee have clear rules and procedures. “You need to get clarification from the sources about where you get such information. China's position is very clear. This issue should be resolved through cooperation. We don't believe that any efforts without the consensus of members will achieve a satisfying results," he said. “On the issue of listing Azhar, China's position remains unchanged. We also stay in communication with relevant parties. The matter is moving towards the direction of settlement," he said. “The relevant parties are forcing new resolution through the UN Security Council. We firmly oppose that. In fact, the relevant discussion in UNSC, most member expressed wish that this issue should be discussed within the 1267 committee and they don't hope to bypass it to handle the issue," he said. Without directly referring to the US, Lu said, "We hope the relevant country can respect the opinion of most members of the UNSC to act in a cooperative manner and help this issue be properly resolved within the framework of the 1267 Committee." Asked to elaborate on his assertion that the issue which had been pending for years due to series of technical holds put by China had moved towards resolution, Lu merely reiterated that the “matter is moving towards the direction of settlement”. 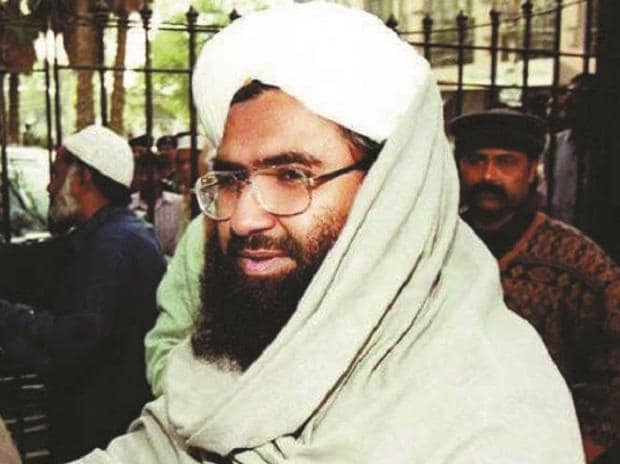 China which has been consistently blocking India, US, UK and France's moves to blacklist Azhar had stalled it once again at the 1267 Committee of the UN on March 14 by putting a "technical hold". On April 1, China claimed that positive progress has been made to resolve the issue and accused Washington of scuttling its efforts by taking it to the UN Security Council. China also came up with similar claims on April 3 responding to US State Department spokesman's comments that Washington will use all available resources to blacklist Azhar to ensure that he will be held accountable.